The Big Idea: Invest more in creating an exceptional customer experience. What is the cardinal rule of exceptional service? Anticipate the needs of your customers. What are the four basics of good (but not yet exceptional) service? Why are problems sometimes a good thing? Many studies show that a customer whose problem is effectively resolved is a more loyal customer than a typical customer who has had no problem to resolve. How do you create a loyal customer from a poor customer experience? 1. Sometimes customers who complain want to help improve your company. 4. Identify and fix the root cause. How do you ensure a consistent tone and use of language for every customer touch point? Create a dictionary of preferred language and phrasing and use it for everything — signs, emails, voicemails, and employee orientations. 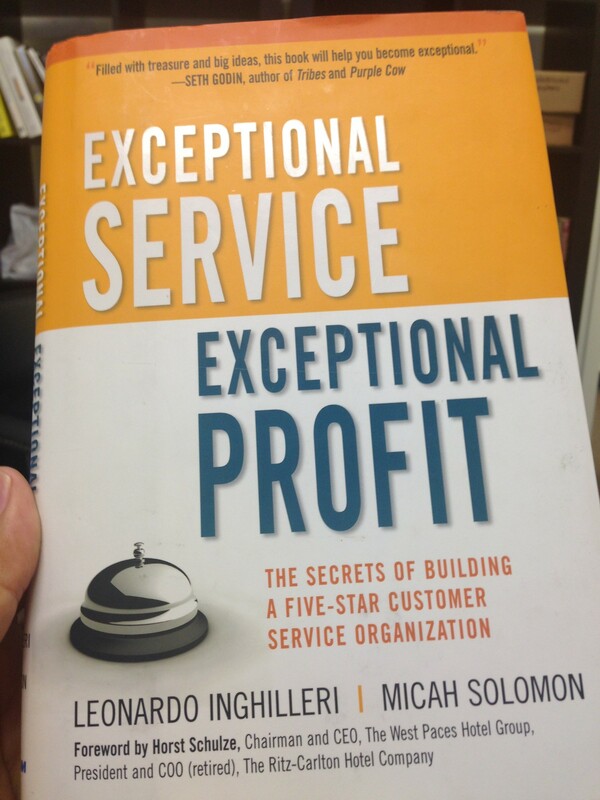 How do you institutionalize exceptional service? Use Toyota Production System principles to build efficiency and eliminate waste in your service processes. However, remember that exceptional service may seem wasteful in the short-run but will benefit your company in the long-run. How do you measure your customer service? Financial: revenue, retention, profits. Non-financial: surveys, mystery shoppers, willingness-to-recommend. How do you build a good customer service team? Hire for talent and attitude, not skills or experience. Look for personal warmth, empathy, optimism, teamwork, and integrity. Never lower your hiring standards just to fill a position. How do you maintain exceptional service over the long-term? Exceptional service costs money. How do you justify the costs? Consider the many long-term benefits: word of mouth marketing, low staff turnover, more productive staff, lower staff recruiting and training costs, higher sales per customer, higher customer loyalty. How do you leverage the Internet for exceptional service? 1. Make yourself unusually easy to reach. 2. Respond to public complaints promptly and personally. 3. Build evangelists who can defend you online. 5. Make the experience fun and memorable. What does good copy on the Internet look like? Offer both short copy for people who just want a summary and long copy for people who want to read more. Why should you pay more attention to hello and good-bye? Neuroscience studies show that humans disproportionately remember the first and last impression, so make sure those are positive and memorable impressions. The Big Idea: Spend 30% of your monthly income on reading and learning. Do an audit of your finances. Find out how much you spend on 1) consuming vs 2) investing (specifically, learning). Spend 30% of your income on learning new skills. Spend 30% of your income on bills. Spend 30% of your income on fun and leisure. Spend very little money on things that rust, rot, or depreciate. Buy fashionable clothes, but buy used. Nobody has a library anymore, get a library card. Hire a bookkeeper for your personal finances.